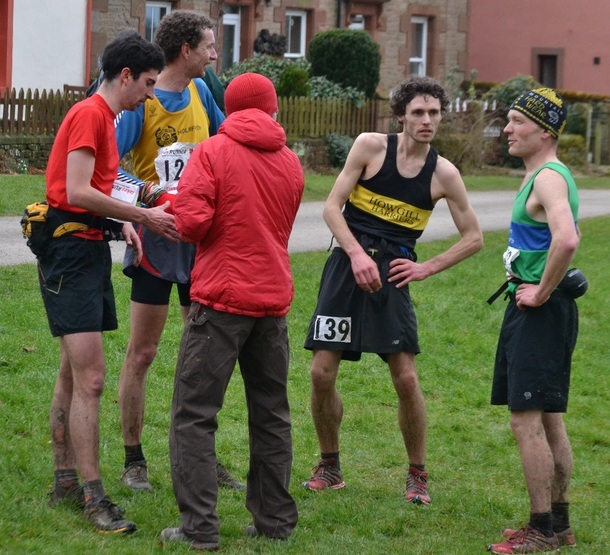 It seemed every resident of the village of Dufton came out to support Morgan Donnelly's INOV8 High Cup Nick Fell Race today. Morgan announced to the field through a loud hailer, on the village green start line, that "today will be a very fast race. 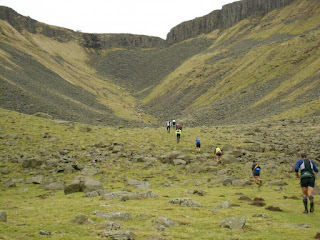 The course is the best it can be, the tracks are dry and the rocks are grippy"
And so Carl Bell and Rhys Findlay Robinson did their best to deliver. Carl picked his way through the tussocky boggy approach to the Nick and meandered across the boulder strewn climb in search of the best lines. He told Fell Running Briefs that he was sure he didn't take the most efficient route to the top and it was in fact Rhys who reached the top first. Rhys told us that he knew what would happen next and sadly for him, it did. His legs just wouldn't get going and he said it felt like 'running through custard'. Carl confessed to Rhys after, that he had felt the same, but he had had enough left to charge the fast (but long) descent knocking Rhys into second place by over a minute. Morgan told the large crowd assembled in the village hall for the prizegiving, that they had been frantically checking through back records and he feels Darren Kay's record of 1:01:47, had been broken. Considering a thirty second detour had been added to the route, Rhys was pretty sure that would be the case and was happy to come second on a day the record was broken. Here's Carl after we told him he'd broken the record! Carl expressly asked if we would mention to regular readers of Fell Running Briefs that he does own another jacket. 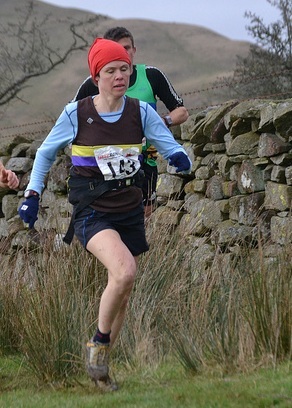 Both team prizes went to Wharfedale Harriers who came up for a club weekend at the Youth Hostel. More pictures by Stuart Stoddart here. Sounds like I missed a good'un. A great day out - thanks to Morgan and Lucy and so many others. 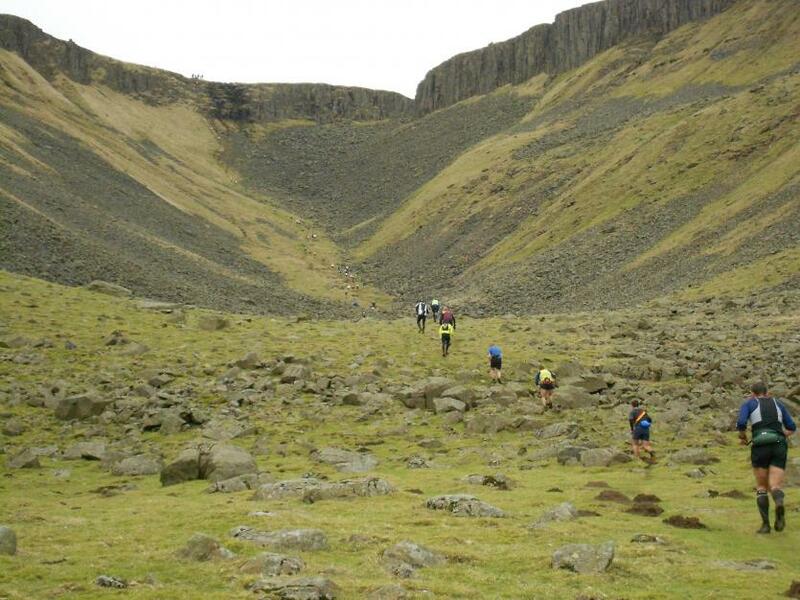 My first run at High Cup Nick but not my last.